The US Department of Defense has revealed that Amazon and Microsoft have been chosen to continue competing for the Pentagon's $10bn cloud computing contract. 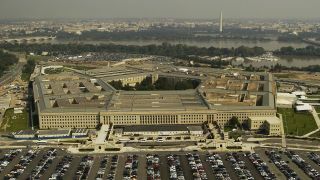 This means that Oracle and IBM are officially out of the running for the Defense Department's Joint Enterprise Defense Infrastructure Cloud (JEDI) contract that is part of the Pentagon's broad modernization effort of its IT systems. However, there is still an ongoing investigation into Oracle's claims that AWS was given an unfair advantage in the bidding process. Oracle has taken issue with the fact that a former Amazon employee who worked on the JEDI contract recused himself from his position and then later went back to work at AWS.